The impact of the GROW II matching grants has brought tremendous awareness and growth for those served by the Central Kansas Community Foundation (CKCF). 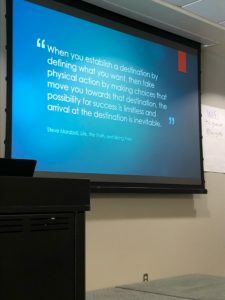 Building stronger communities through charitable giving was front and center at the recent annual Affiliate Summit this past week hosted at the Kansas Learning Center for Health, Halstead, Kansas. ough both healthier people and stronger communities. 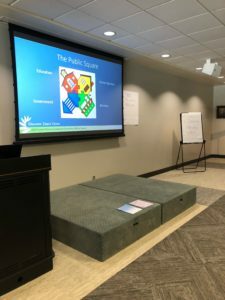 It was designed to increase philanthropy in Kansas, to improve the health of Kansas children and to develop a network of local partners, including Foundations like CKCF. CKCF Executive Director Angie Tatro reported the Foundation has grown from $8 Million under assets to $18.8 Million under assets since the award in 2011. She attributes the growth largely to the awareness generated from the matching grant opportunity. Specifically, the CKCF and its affiliates, Halstead, Hesston, Peabody, Hillsboro and Butler County, raised more than $6 Million in eligible match during the grant, and Kansas Health Foundation then matched more than $1.7 Million for health initiatives in Kansas and Halstead still has a chance through the remainder of 2017 to meet their match. imately $120,000 in remaining matching opportunity. Tatro said, “Halstead is a community like all of ours that will benefit greatly by fulfilling this match opportunity.” In all participating GROW II communities a KHF Public Health Fund and a Foundation Operations Endowment are established by the matching funds. 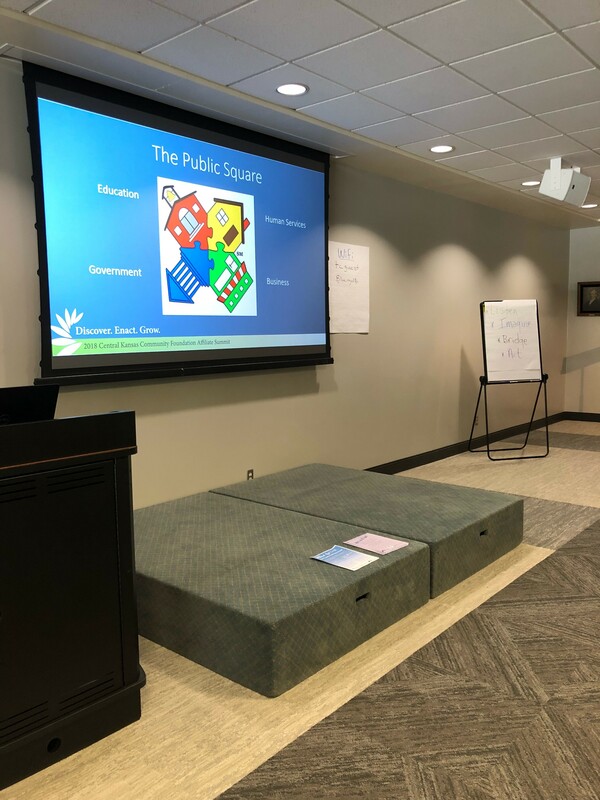 Grant recipients are funding grants for playgrounds for kids to get exercise, better access to healthcare through clinics in rural areas and emergency kits with supplies for use by law enforcement during a crisis. on across Kansas to meet the health needs of Kansans. If the health of Kansans is important to you, consider a donation to the Halstead Impact Fund, this fund will generate a 50% match, the highest available, for helping HCF meet their GROW II match opportunity. Please send your tax-deductible contribution to Halstead Community Foundation, P.O. Box 4, Halstead, KS 67056. If you have other interests for your charitable contributions, please contact CKCF at 316-283-5474 or angie@centralkansascf.org. Pictured above L to R: Tim Hodge, CKCF Chair; Angie Tatro, CKCF Executive Director; JaLayna Carmichael, Halstead Director; Becky Nickel, Peabody Admin Assistant; Cynthia Fleming, Hillsboro Director; Susan Lamb, Hesston Director; Steve Coen, President and CEO Kansas Health Foundation.